We review three new books available in English, from Hebrew poetry to haunting fairy tales. 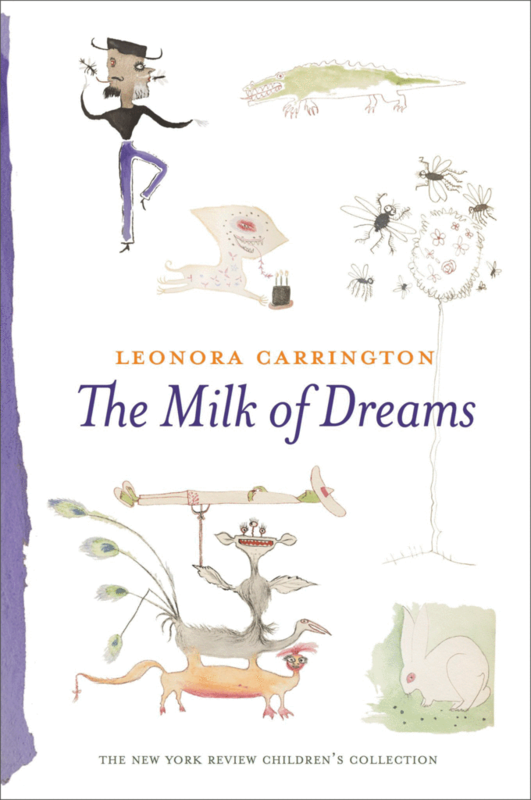 Leonora Carrington grew up listening to folktales told by her Irish nanny in Crookhey Hall. She spent most of her life in Mexico City and became renowned as a Surrealist painter, artist and novelist. Her children recount how they used to sit in a large room on whose walls their mother’s fantastical stories were brought to life. There were deranged creatures and wild forests, and mystical persons standing amid steep, clouded mountains. Carrington’s breath as a storyteller was as broad as her genius for painting and imagery, and the paring of the two resulted in a small notebook she called The Milk of Dreams (New York Review Books, 2017) – perhaps the only surviving relic of that enchanting time where, each day for her children, she opened the door to a realm of fantasy and wonder. The boy had wings instead of ears. “Look at my ears,” he said. Her stories, which are often not much more than a few lines in length, give a sense of whimsical creativity; the kind that is not just rare in literature but exceedingly so in children’s stories. Meet George, who enjoys eating walls and eventually grows his head into a house; Don Crecencio the butcher and his goat’s meat roses; and the monster Chavela Ortiz, who has six legs, a golden jewel, pearls, and a portrait of Don Angel Vidrio Gonzalez, the head of the Sanitary Department. There is a freedom in Carrington’s tales that is both outrageous and unpredictable, and yet underlying is the realness of raw experience. These are not watered-down shadows of a story like so much of fantasy writing seen today – they delve into genuine emotions, which are often dark and complex.